The molecular mechanism by which PAHs activate AhR-dependent gene expression (AhR: aryl hydrocarbon receptor; ARNT: AhR nuclear translocator protein; HSP90: heat shock protein 90; PAHs: polycyclic aromatic hydrocarbons; XAP2: hepatitis B virus X-associated protein 2). Polycyclic aromatic hydrocarbons (PAHs) are one of the most widspread organic pollutants. Occupational and environmental exposure to PAHs has been suggested to induce inflammatory disorders such as dermatitis, asthma, and rhinitis. PAHs are the ligands for aryl hydrocarbon receptor (AhR) (also called dioxin receptor), a transcription factor that mediates to catalyze xenobiotic Phase I metabolism. 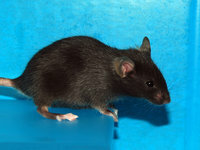 K14-AhR-CA transgenic mice carry a constitutive active (CA) form of mouse AhR cDNA under the control of human keratin 14 promoter. 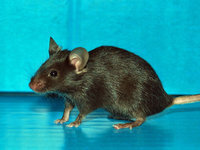 The transgenic mice are normal at birth, but develop with severe itching skin lesions postnatally. This strain is useful for the evaluation of the causal relationship between the AhR pathway and inflammatory dermatitis. Reference : Mol Cell Biol 2005 Nov;25(21):9360-8.